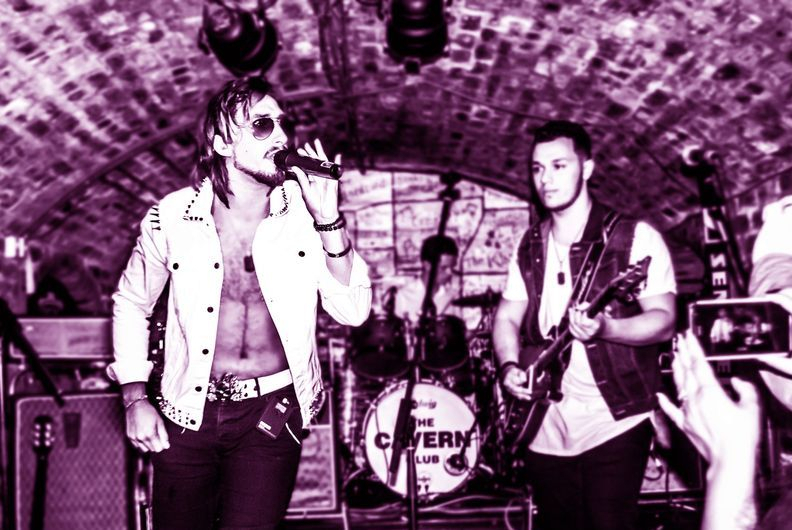 Thank you to all who came to the debut of 'The Escape' live show at the Cavern Club on the 28th September. The atmosphere was electric, and despite the sudden change of venue to the front (original) room of the Cavern Club due to the PA system failing in the Live room nothing would stop HEX continuing to put on their show. The world's most famous venue played host to what will surly be a historic night and the very start of something special. 'The Escape' is here and you can be part of it too - Subscribe and follow everything that goes on via Facebook and Twitter and make sure you never miss a thing! The Cavern Club, home to legends from all generations and the single most iconic venue of the music world. HEX have announced their live show 'The Escape' will be kicking off in it's debut at an exclusive concert here on the 28th September 2016! HEX have just released details about their plans to tour the UK in September/October 2016 - And with the announcement they included info about the first date to be revealed. HEX Announce debut single produced alongside Grammy award winner. This is exactly what happened when HEX did just that. Whilst relaxing in their dressing room (which turned out to be the bedroom of King Henry the Eighth!) the band decided that a new direction of music was to be explored and a new chapter in the HEX journey was to open. After performing to over 7 million viewers Grammy and Brit award winning producer Robin Millar agreed to help the band with their debut single; and help find the bands footing i their next venture. It was from this that 'Just A Game' HEX's brand new debut single was created - Set for release later in the year this new track has already received acclaim from high places. HEX talk about new status as International music producing artist and collaborator. HEX have recently announced their status as an international music producing artist and collaborator! So what does this mean? - It means that along with the bands own Alternative Rock style, they are venturing into the world of songwriting and music production with other artists of all different genres. HEX will be releasing their first collaboration alongside Polish R&B artist Adrianna Piotrowska - The song will take on stylings from not only both genres that HEX and Adrianna usually work in, but also take influence from the different cultural backgrounds between the artists. This not only means that HEX will be exploring new styles but that they will be outputting new music more often! Look out for more news about this and other topics here or through the bands social media.